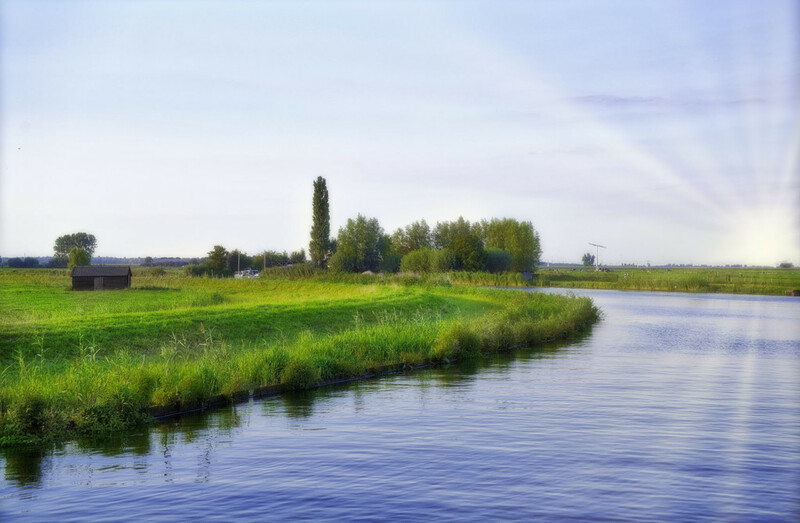 A typical representation of the Netherlands, green and lush grass, flat landscape and rivers which bring the water for agriculture. River Eem runs through the Eem valley and is emptying in Amersfoort. Be careful with the bridges and locks, if you are driving a boat. Sometimes they are so low that you have to duck your head or call a lock keeper to open the bridge for you. Once it was only a few centimeters which prevented our boat roof from scratching, I was breathing deeply and thanked God afterward.